Freeman Technology are the worldwide exclusive distributors of Lenterra products. 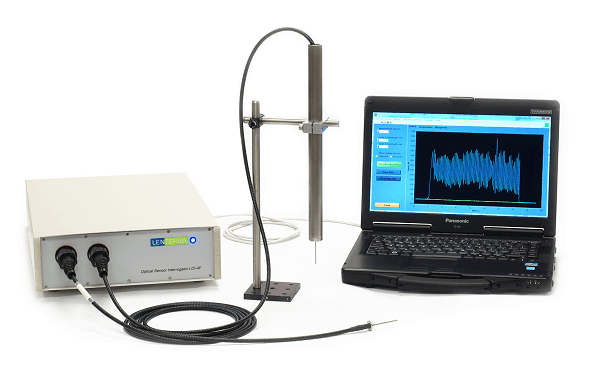 The Lenterra Flow Sensor (LFS) System consists of a Drag Force Flow (DFF) sensor, the Lenterra Optical Interrogator (LOI) and a ruggedised laptop with bespoke software. The system provides an in-line, real-time assessment of powder flow enabling improvements in process understanding and manufacturing efficiency in various industries. Minimize costs related to resample, retesting, reworks, etc. 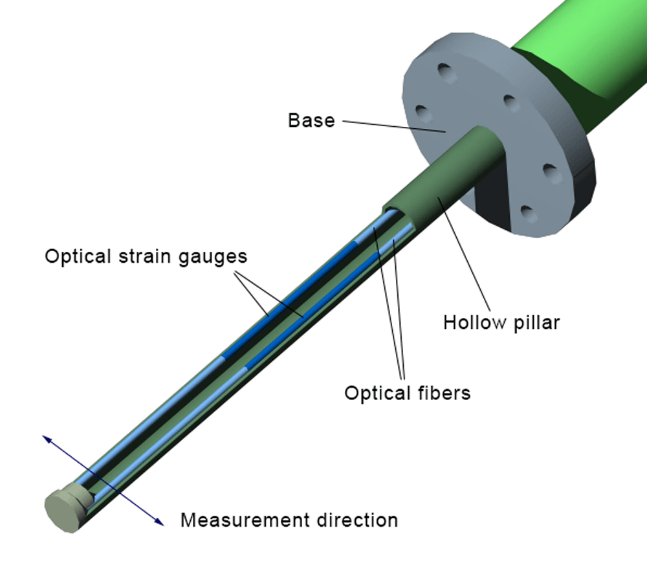 The DFF sensor consists of a hollow pillar mounted on a stationary base, containing two optical strain gauges, Fibre Bragg Gratings (FBGs). The LOI is connected to the FBGs via a fibre optic cable and continuously monitors the FBG spectra. When the pillar is deflected by flow, one FBG becomes extended and the other one is compressed, leading to a shift in wavelength spectra. A larger deflection results in a greater shift. 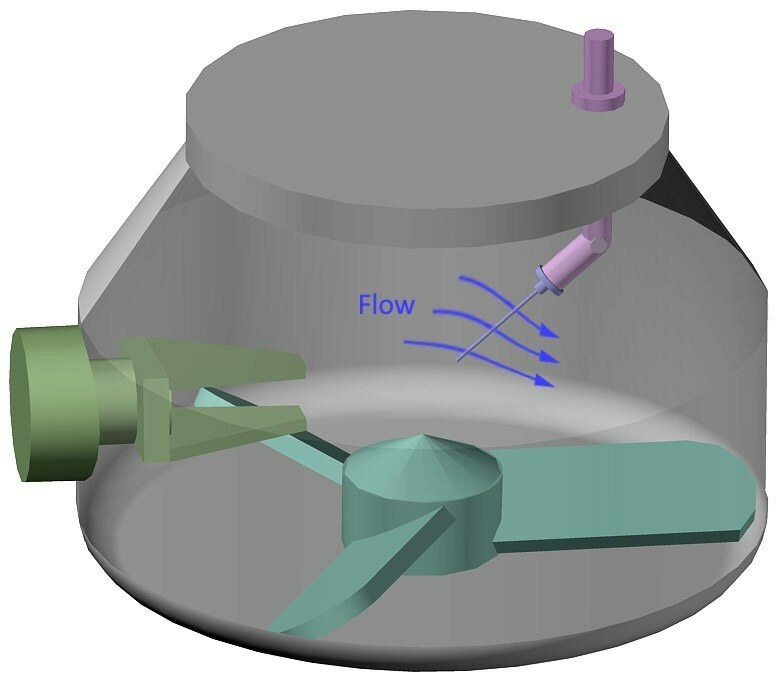 When the probe is immersed in a moving powder or material, the DFF sensor bends under the force of the flow. The magnitude of the deflection is continuously measured and quantifies the drag force in real-time, which is a function of material properties such as size, density, adhesion and strength, allowing operators to assess material properties in-process. The technical support from Freeman Technology is super. You can expect responses within 24 hours. High Shear Wet Granulation (HSWG) is widely employed in many industries. Effective management of HSWG processes requires an understanding of granule evolution and the impact of changing properties. The DFF sensor delivers valuable information to assist formulation and process development, as well as for routine monitoring, control during manufacturing, and scale-up strategy. 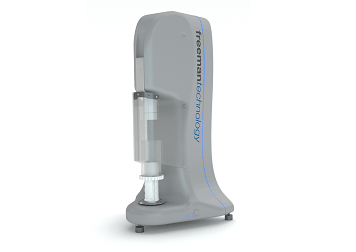 The data below illustrates how the technology can be used to robustly track a granulation process, enabling the user to monitor granule evolution without disrupting the process.